This Week’s Passage: 19 Consequently, you are no longer foreigners and aliens, but fellow citizens with God’s people and members of God’s household, 20 built on the foundation of the apostles and prophets, with Christ Jesus himself as the chief cornerstone. 21 In him the whole building is joined together and rises to become a holy temple in the Lord. 22And in him you too are being built together to become a dwelling in which God lives by his Spirit. You’ve heard the phrase, I have no doubt, that it is not about us, it is all about Him. The passage this week illustrates this to a tee. Beginning with the word consequently. This word looks back to the previous few verses which talk about how it is because of Jesus that we have gained access to the Father. Then goes on to say that because of Jesus we are no longer alienated from God. Because of Jesus we are considered first class citizens of the kingdom of God. Because of Jesus we are a part of the family. Verse 21 then says that because of Jesus Jews and Greeks together – who have been redeemed, adopted, chosen, forgiven, predestined, (all words that Paul has used earlier to describe what God has done )- can come together to display the gospel in the form of the Church. Together they can reflect the magnificence of God’s holiness to a world that languishes in sin and desperate hopelessness. Then verse 22 concludes the chapter by saying that because of Jesus God’s Spirit dwells within us – in fact He lives in us so that we can be a walking talking example of what a God filled, God fueled new creation looks like. You can hear (and watch) them sing the song here if you would like. As you go through your day today remember this: It’s not about us, it’s all about Him. Getting in shape is tough when you are out of shape. It hurts to work muscles that haven’t been worked much. That’s why this Prayer Mentoring has been helpful to me. I need the week in and week out encouragement to keep going at it. I know I’m in better shape now then I was in January. And hopefully come December I will be a prayer stud. 11 Therefore, remember that formerly you who are Gentiles by birth and called “uncircumcised” by those who call themselves “the circumcision” (that done in the body by the hands of men)— 12 remember that at that time you were separate from Christ, excluded from citizenship in Israel and foreigners to the covenants of the promise, without hope and without God in the world. 13 But now in Christ Jesus you who once were far away have been brought near through the blood of Christ. 14 For he himself is our peace, who has made the two one and has destroyed the barrier, the dividing wall of hostility, 15 by abolishing in his flesh the law with its commandments and regulations. His purpose was to create in himself one new man out of the two, thus making peace, 16 and in this one body to reconcile both of them to God through the cross, by which he put to death their hostility. 17 He came and preached peace to you who were far away and peace to those who were near. 18 For through him we both have access to the Father by one Spirit. Since the beginning of recorded history, the entire world has been at peace less than 8% of the time! Of 3530 years of recorded history, only 286 years saw peace. Moreover, in excess of 8000 peace treaties were made & broken. During this period there were 14,351 wars, large & small, in which 3.64 billion people were killed. The world needs peace among the nations. Millions and millions of people suffer with depression, anxiety, and worry. Millions and millions of dollars are spent each year trying to find a medical fix to the problem. People need peace in their inner being. Every person who has ever been born since the Fall has been at war with God and has tried to solve this problem through either a personal or institutional religion. People need peace with God. Enter Jesus. The Prince of Peace. Jehovah-Shalom. The Scripture says here in 2:14 that “He himself is our peace.” True peace will not be found anywhere else but in Christ. He is The Peacemaker. There is a word that is used in this passage that is one of my favorite words in the New Testament. Reconcile. It has to do with conflict resolution; with settling differences; with restoring relationships. God made him who had no sin to be sin for us so that we might be reconciled to God. We were reconciled to God at the cross. No cross, no reconciliation. This is what makes our faith unique. This is why Christianity is not just another religion. It is based on the relationship between God and man and God’s unceasing willingness to bridge the great divide that was caused by sin. The relationship was broken but the relationship can be restored. Reconciliation! The Cross! The Prince of Peace! Jesus! Here are some more quotes from Yancey’s book. He has a way of voicing some of the things that we think but won’t say out loud because it would make us sound less Christian. His contention,as well as mine, is that questions lead to answers which leads to Truth which always grows our faith. For me, prayer is the key to making life an adventure. In the Lord of the Rings series by Tolkein, poor Frodo only gets enough direction for the next lap of the journey. As he looks back, it all works out, but most of the time he wanders around confused and helpless. Only occasionally, and in subtle ways, does Gandalf actively give assistance and guidance. p.83 – by Harold. I particularly like that last quote. Had never really thought about the prayers Jesus didn’t pray. Not only does Jesus pray in a different way than me, He doesn’t pray in a different way than me. Still so much to learn. This Week’s Passage: 6 And God raised us up with Christ and seated us with him in the heavenly realms in Christ Jesus, 7 in order that in the coming ages he might show the incomparable riches of his grace, expressed in his kindness to us in Christ Jesus. 8 For it is by grace you have been saved, through faith—and this not from yourselves, it is the gift of God— 9 not by works, so that no one can boast. 10 For we are God’s workmanship, created in Christ Jesus to do good works, which God prepared in advance for us to do. The focus of my pondering is verse 10. Most of my prayer posts to date have been from pastors or theologians. 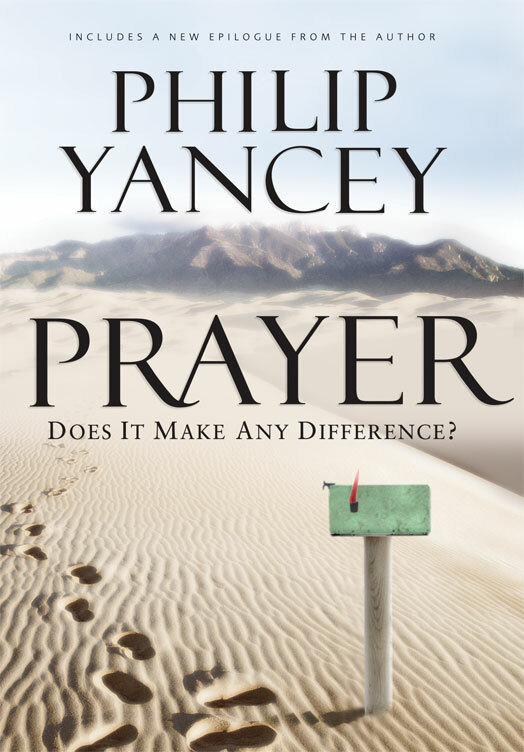 Philip Yancey is a journalist. 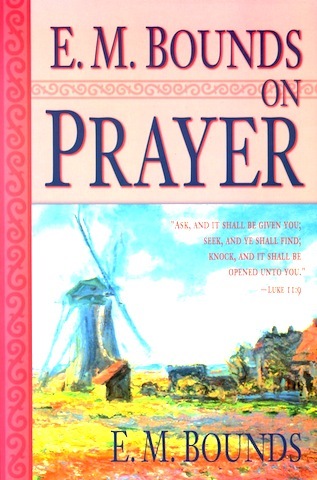 He approaches the subject of prayer more like a layman than a clergyman. I have found his writings over the years to be thought provoking as he tends to question everything and not accept your typical religious answers. Since I am not a fan of religion I find this approach refreshing. Hope you enjoy his thoughts. There will most likely be more next week. I have bolded a few of the phrases that particularly grabbed my attention. And I hope that as I continue to learn how to be a pray-er that some of the things I am learning help you as well. This Week’s Passage: 1 As for you, you were dead in your transgressions and sins, 2 in which you used to live when you followed the ways of this world and of the ruler of the kingdom of the air, the spirit who is now at work in those who are disobedient. 3 All of us also lived among them at one time, gratifying the cravings of our sinful nature and following its desires and thoughts. Like the rest, we were by nature objects of wrath. 4 But because of his great love for us, God, who is rich in mercy, 5 made us alive with Christ even when we were dead in transgressions—it is by grace you have been saved. I’m a grace guy. I love to think on God’s amazing grace. I don’t often think on God’s amazing wrath. We don’t sing “Amazing wrath how sour the sound that condemned a wretch like me.” And yet this passage reminds us that we are by our very nature, down to the core of our being, objects of God’s wrath. Before God speaks of God’s amazing grace He speaks of God’s amazing wrath. This week as I pondered, I found a few noteworthy quotes that I thought I would share and let them speak mostly for themselves. “The wrath of God is a perfection of the Divine character upon which we need to frequently meditate. First, that our hearts may be duly impressed by God’s detestation of sin. We are ever prone to regard sin lightly, to gloss over its hideousness, to make excuses for it. But the more we study and ponder God’s abhorrence of sin and His frightful vengeance upon it, the more likely are we to realize its heinousness. Propitiation is a really cool theological word that speaks of the satisfaction of God’s holy wrath. In order to totally appreciate the magnificent grace of God (which we’ll ponder this coming week) we need to grasp how awful is His wrath. So think with me on these things. He who is too busy to pray will be too busy to live a holy life. The prayer habit is a good habit but prayer done only by force of habit is a very bad habit. This kind of praying is not conditioned after God’s order, nor is it generated by God’s power. It is not only a waste, a perversion, and a delusion, but it is also a prolific source of unbelief. Prayerless praying gets no results. God is not reached, self is not helped. It is better not to pray at all than to secure no results from praying – better for the one who prays, better for others. The men who have done the most for God in this world have been early on their knees. He who fritters away the early morning – its opportunity and freshness – in other pursuits than seeking God will make poor headway seeking Him the rest of the day. If God is not first in our thoughts and efforts in the morning, He will be last during the remainder of the day. A desire for God that cannot break the chains of sleep is a weak thing and will do little good for God. The desire for God that stays far behind the devil and the world at the beginning of the day will never catch up. No amount of money, genius, or culture can move things for God. Holiness energizing the soul – the whole man aflame with love, with desire for more faith, more prayer, more zeal, more consecration – this is the secret of power. Two things: 1) Again and again I keep hearing that much time must be given to prayer. At this point I would say that, for me, more time is being given to prayer – not sure that I would go so far as to say that much time is being given to prayer. 2) The idea of prayerless praying – how much of my time and God’s time have I wasted because of prayerless praying. I sense that my prayerless praying is diminishing but still have far to go. This Week’s Passage: That power is the same as the mighty strength 20 he exerted when he raised Christ from the dead and seated him at his right hand in the heavenly realms,21 far above all rule and authority, power and dominion, and every name that is invoked, not only in the present age but also in the one to come. 22 And God placed all things under his feet and appointed him to be head over everything for the church, 23 which is his body, the fullness of him who fills everything in every way. 1) What would this power look like in the life of a believer – in other words, how would it present itself? Boldness in speaking, preaching, and praying – All of these are evident in Acts 4. I especially love Acts 4:13. This verse kind of sums up for me what power in the life of a believer looks like to unbelievers: “When they say the courage of Peter and John and realized that they were unschooled, ordinary men, they were astonished and they took note that these men had been with Jesus.” Where is the astonishment that seemed to follow these guys around after Pentecost? Transformed Lives – You don’t have to look far in both the gospels and the Book of Acts to find people who’s lives were radically changed. As people came in contact with Spirit empowered believers their lives were never the same. Can that be said about me? Can that be said about us? Miracles – Do miracles still happen? I believe they do! But we see so few things that can only be explained by a miraculous work of God that we have gotten to the point that we don’t expect God to do the miraculous. Shame on us as the people of God. You certainly see the miraculous happening in the gospels and Acts. 2) Why are so few believers filled and fueled by the power of God? There is little dependence upon God – Here in American we have been trained from the time that we were pups to depend upon our ourselves – our money, our talents, our personality, our family, our intellect. We have never really had to depend solely upon God and therefore have never learned how to depend upon God. God’s power is thwarted by our independence. Unconfessed sin and unrepentant hearts short circuit the power supply and bewilder the Power Supplier – Unfortunately we tend to have a high tolerance for sin. I include myself in this statement. We have view of God that says God is a forgiving God therefore I can do whatever I want and He will still love me and forgive. We take lightly the parts of the Bible that talk about God’s hatred for sin because of His absolute holiness and we gloss over the idea that “we were by nature objects of wrath.” Because of this we deal with sin like we deal with clutter. We let it build up until we can’t stand it anymore then try to clean it all all up – then let it start building up again. Did you catch that phrase, “until we can’t stand it?” We need to understand that sin is something that God cannot stand – therefore we need to deal with it immediately and turn in horror away from it. 3) How can I be a Spirit empowered believer? The answer to this flows pretty naturally out of the last question if we buy into the reasons we are so powerless. To sum it up in for me my action steps would go something like this: 1) Become a man who knows how to pray – then to pray as often as I breathe, 2) Worship God in the splendor of his holiness so that I see sin the way that He sees sin, 3) Wean myself away from the things that give me more satisfaction than God and His Word. It’s not rocket science. It just will take willful intent. Do I want to live a power fueled life or am I content to be content with the way that I am? Do I want “that power” flowing through my spiritual veins… or not? Hmmmm.